Well isn't this post just peachy? See what I did there? I crack myself up some days. 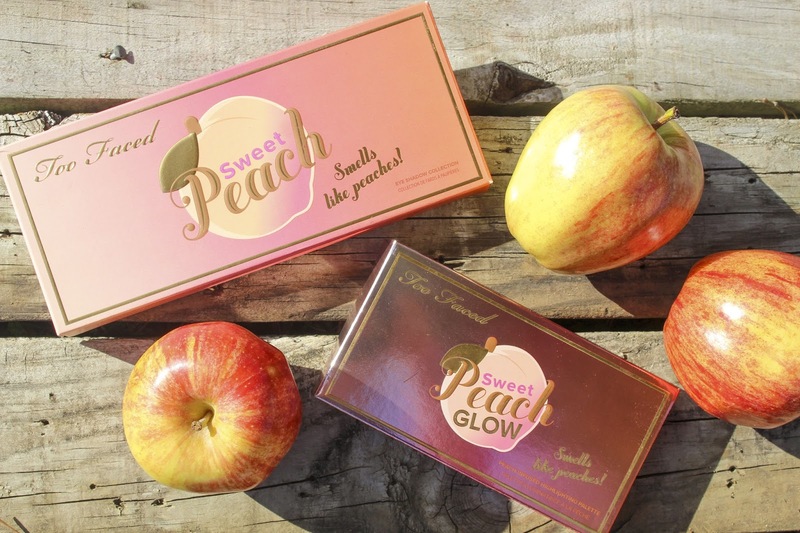 Anyways, I've been eyeballing the new Too Faced Sweet Peach collection since I heard about it. The colors are absolutely gorgeous. 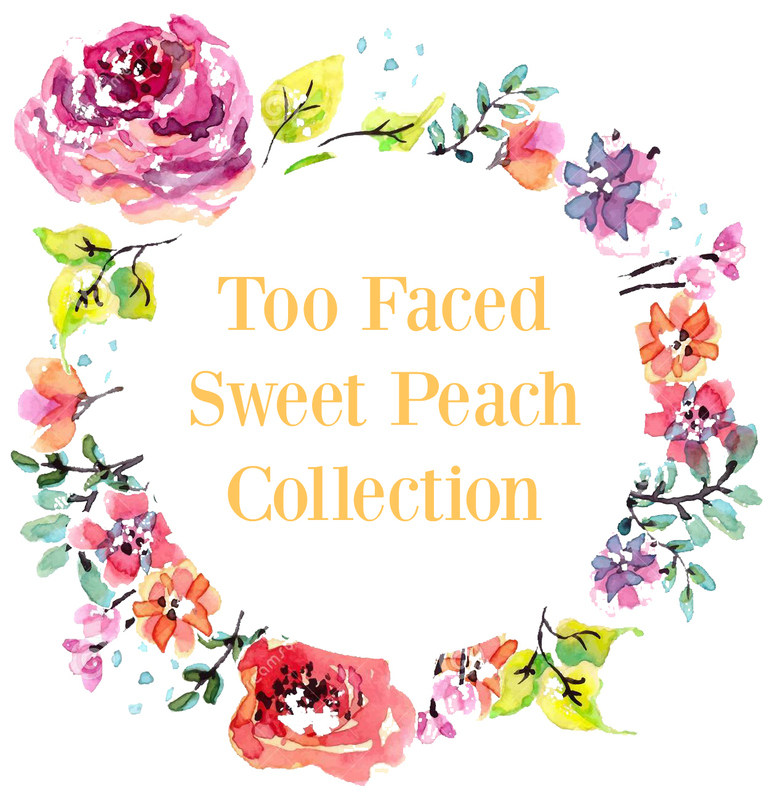 The collection has the Sweet Peach eyeshadow palette, Sweet Peach glow kit, Papa Don't Peach blush, and eight shades of Sweet Peach Creamy Peach Oil lip gloss. 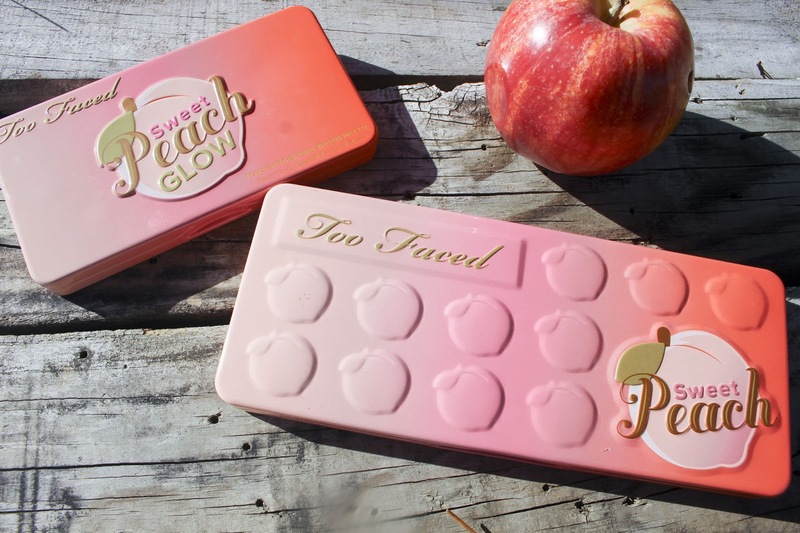 As much as I would have loved to buy the entire collection because it's so cute (dare I say peachy? ), I don't have the money. I did manage to save up enough for the eyeshadow palette and glow kit. I am beyond impressed with them! First of all, they smell like peaches! Both have nice summer colors, which is slightly odd that this collection came out in December. I'm not complaining though! 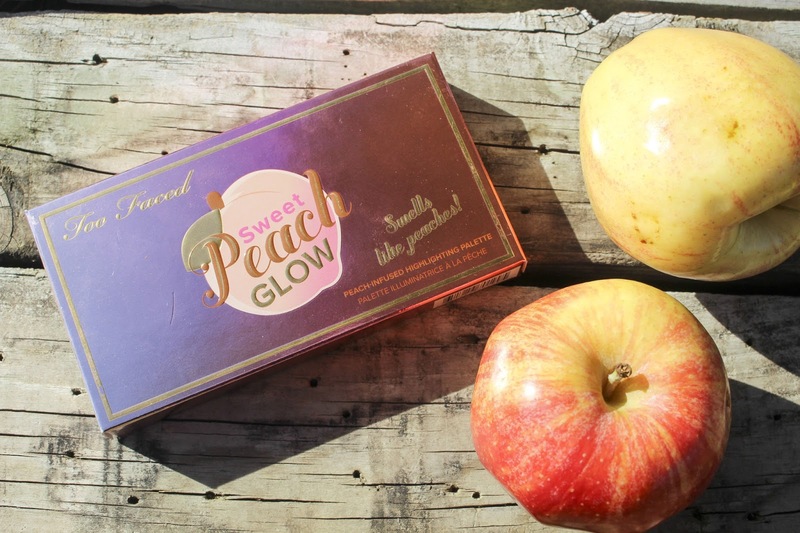 Sweet Peach Glow Kit: I am obsessed with the blush and highlighter in this kit. The bronzer is also amazing, but it is not quite the right color for my ghostly white winter complexion, but I think when I get a bit more sun, it'll be the best bronzer. Now, the blush is this nice peach color (shocker, am I right?). It gives my cheeks the perfect amount color, and it stays! 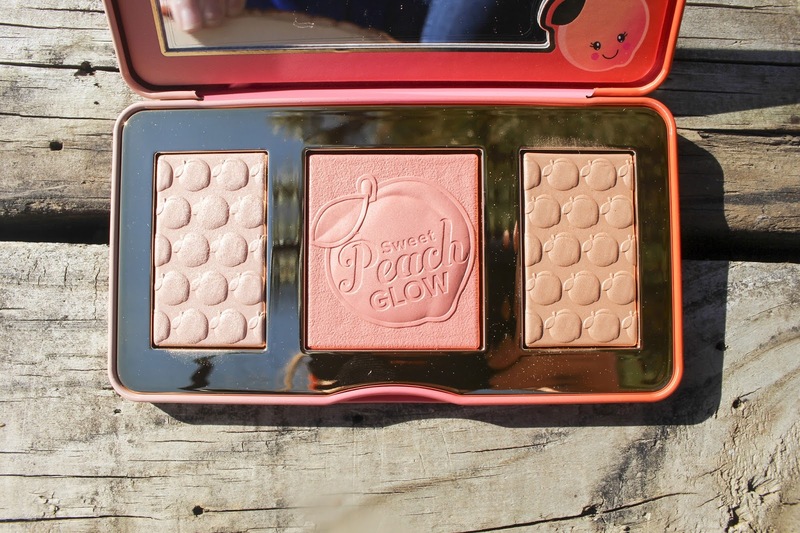 My last blush hardly gave any color to my pale complexion, so this is such a nice change! The highlighter that the kit comes with is so amazing! It goes on so smoothly, and I feel like a Greek goddess afterward! 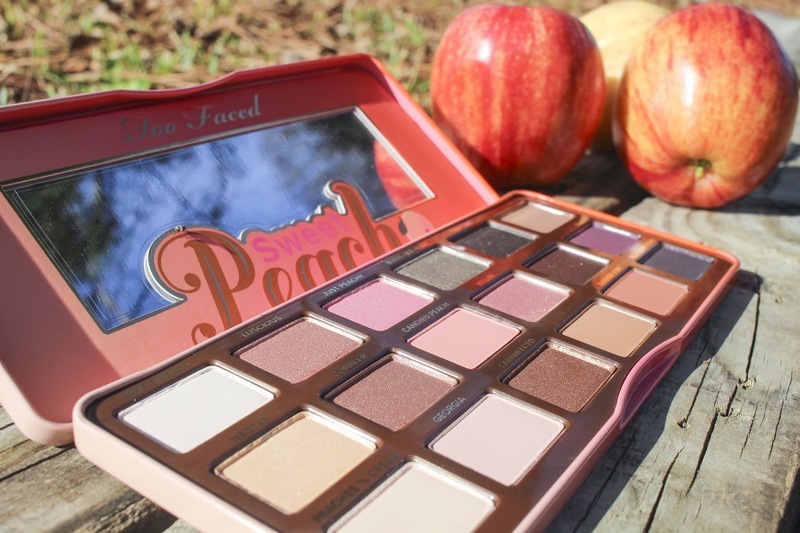 Sweet Peach Eyeshadow Palette: This palette actually came out a while back and it was re-released with the rest of the collection. 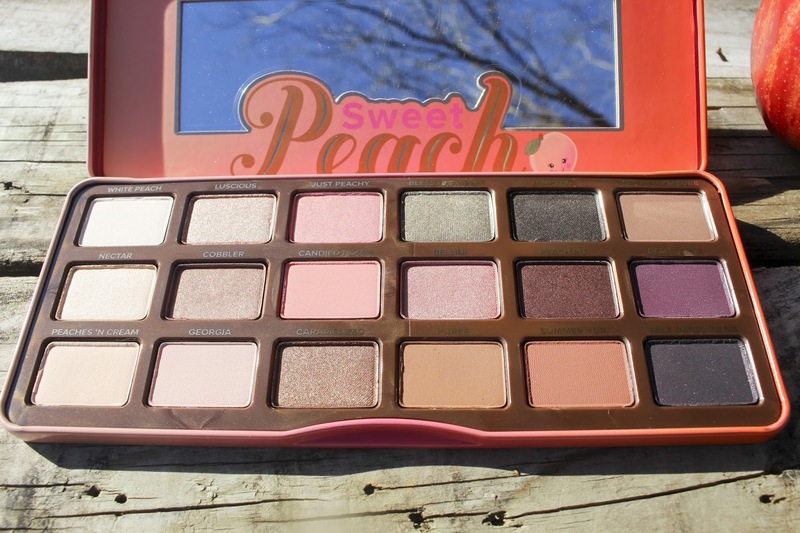 With 18 highly pigmented colors, this palette is worth every penny. The part that attracted me to these eyeshadows are the colors. I love neutrals, but the problem with neutrals is that not everyone can even tell if you're wearing them. These colors, however, are neutrals with a peachy touch which makes them so much more vibrant! Not only that, but it comes with several nonneutral colors which add a pop of color. I am having such a fun time playing around with all the different looks. Overall, if you're interested in this collection, I would hurry up and go buy it while it's still around! It's amazing! 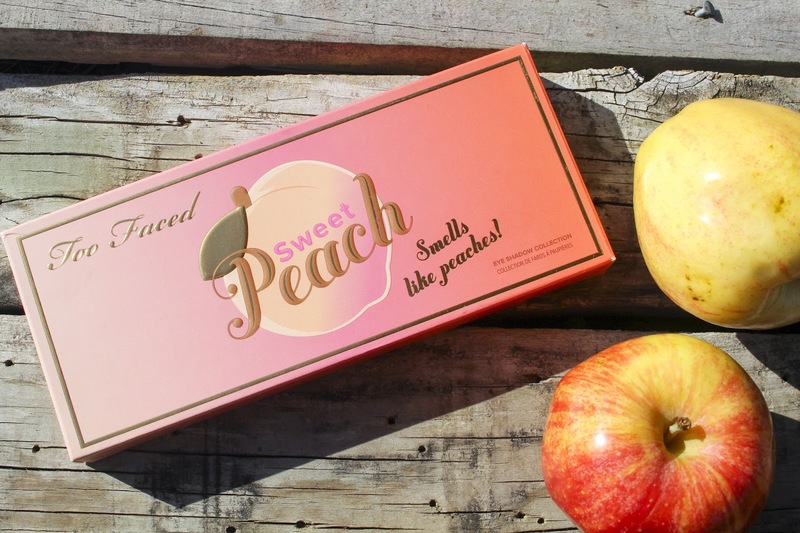 Added bonus: Your face will smell like a peach and just in time for Valentine's day if ya know what I mean.